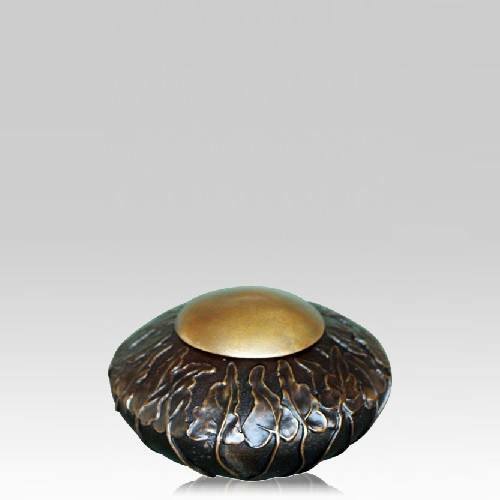 The Antique Ivy Bronze Small Cremation Urn is cast in solid bronze. This urn features a stunning ivy design that covers the body of the urn, in a gorgeous antique finish. This elegant urn is created through the ancient form of 'lost wax' method, to produce a vessel that is nothing short of a masterpiece. The small size is ideal for families who are sharing or scattering the remains, and wish to keep a small portion for themselves. Create an unforgettable tribute to the garden lover with this unique urn. "My sister and I had ordered the urn a few days before our father had passed. We wanted to handle things before he died. The delivery timing was perfect and the product was beautiful. The whole process of purchase to use was seamless and made things easier for our mother and our family."